Nina Barwell's musical training includes a degree with honors from the New England Conservatory of Music where she studied with James Pappoutsakis, a Fulbright fellowship to study with Jean-Pierre Rampal, and master classes with Marcel Moyse. She holds a master of music degree from the State University of New York at Stony Brook where she studied with Samuel Baron. While living in Europe she concertized throughout France, was a flutist for the contemporary music ensemble of the Sorbonne, and appeared as a soloist with the Uppsala Orchestra of Sweden. 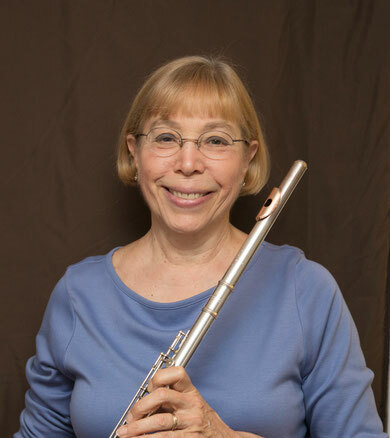 Upon returning to the United States, Ms. Barwell joined the faculty of music at the University of Wisconsin at Stevens Point where she taught flute, chamber music and performed with the Walden Woodwind Quintet. She has also taught at the School of Music at Ohio University, and at the School of Music at Boston University. She has performed at Tanglewood with the Berkshire Music Center Orchestra, with the San Diego Symphony for a summer season, has directed the Late Spring Baroque Festival in residence at the Brookhaven National Laboratories, L.I., New York, and for two summers performed at the Bach Aria Festival, Stony Brook, New York. Ms. Barwell has performed several times on WGBH Radio and played two solo recitals in Jordan Hall at the New England Conservatory of Music. Presently Ms. Barwell plays in Symphony New Hampshire, teaches flute at Tufts University, and directs the Tufts flute ensemble. She also teaches flute at the New England Conservatory of Music, Preparatory School and at the Walnut Hill School for the Arts. At the 2010 National Flute Association Convention in Anaheim, CA, Ms. Barwell presented a lecture demonstration on material from her book.